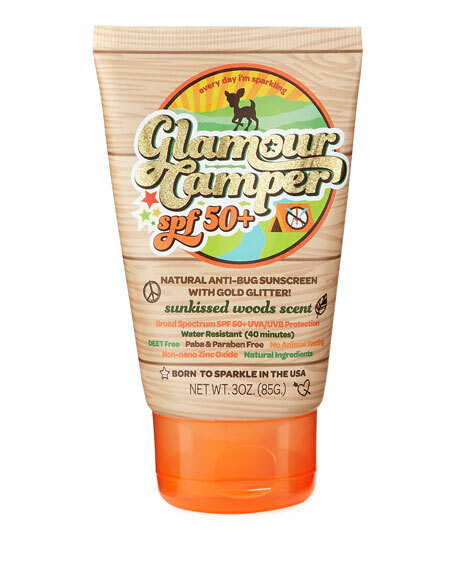 Sunshine & Glitter "Glamour Camper" anti-bug sunscreen with glitter. DEET, PABA, and paraben free. For in-store inquiries, use sku #2662149.